Truthfully, video games have never really been my thing. 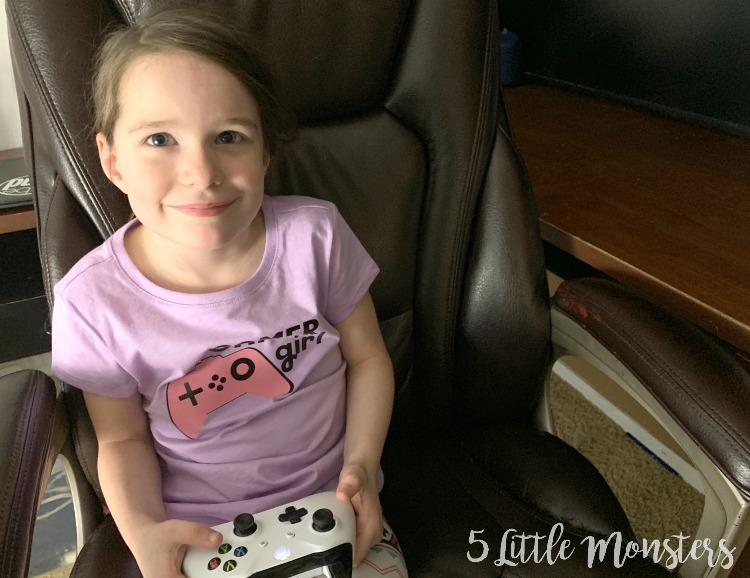 I didn't grow up with gaming systems in our house and I am not good at anything beyond LEGO game level, and even that is only if I don't have to jump across or onto anything. 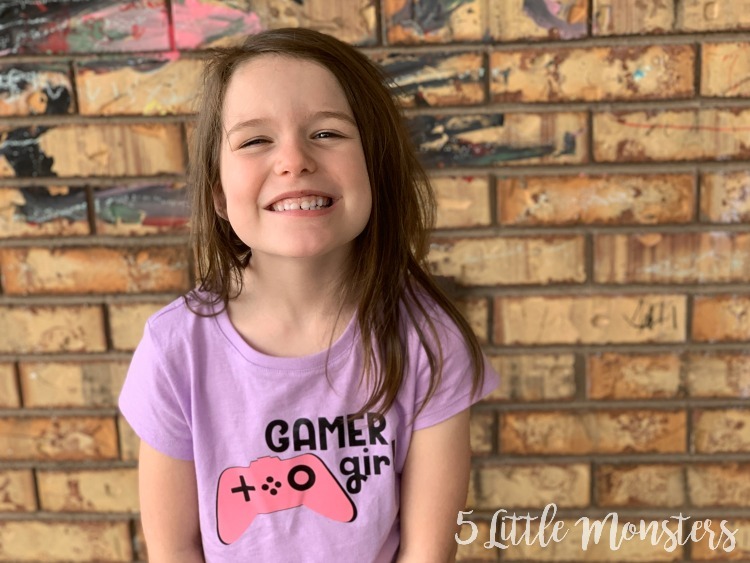 But my kids enjoy them and I am fine with them playing as long as the games are appropriate and it doesn't become the only thing they ever want to do. Anyway, when I noticed how much my daughter enjoys playing I thought it might be fun to make her a girly video game themed shirt. 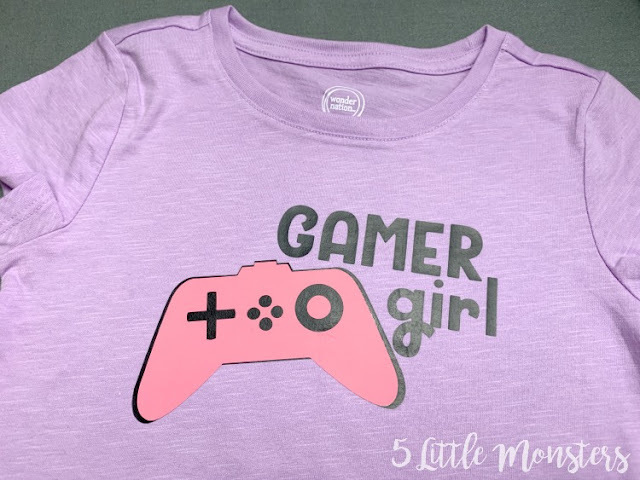 Enter the Gamer Girl T-shirt. 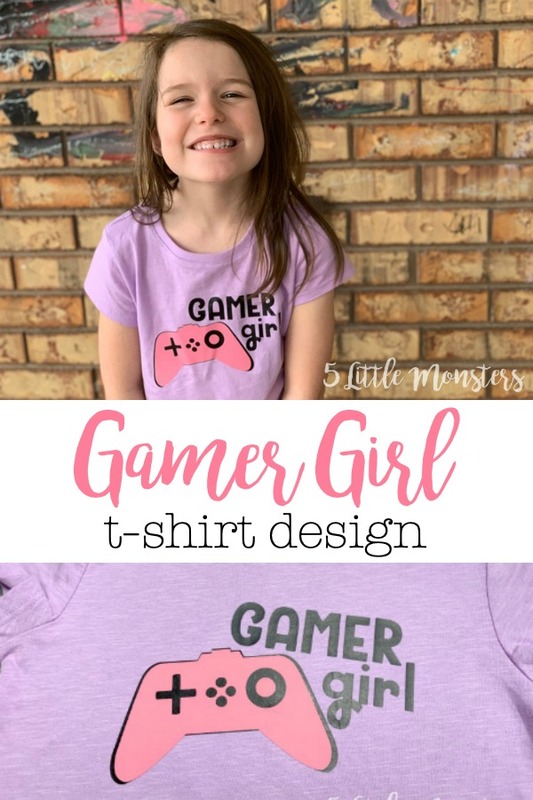 She was super excited about it and I thought I would share it here in case any of you have little gamer girls who would like to make a shirt for. First, open the Design Space Canvas. I have 2 options available, one with a background layer and one without. Choose the one you want and resize if needed. Cut out of iron on, don't forget to mirror. Weed. 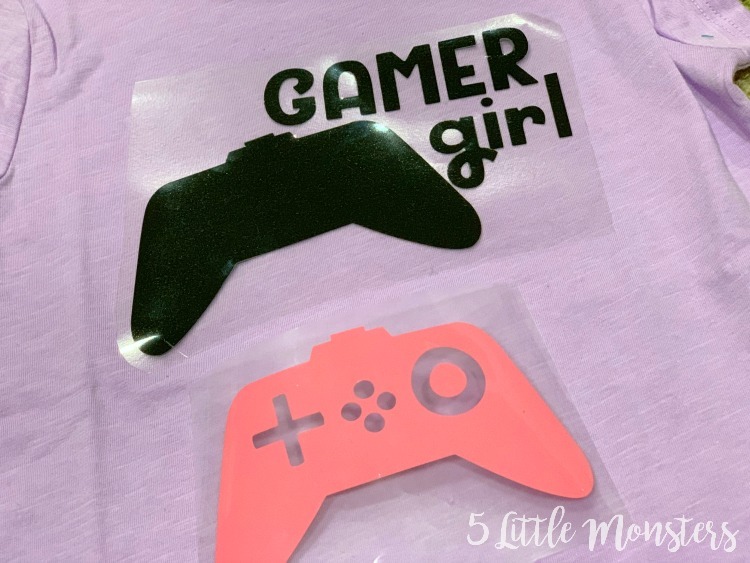 Place the design on the t-shirt one color at a time and press in place (following these settings). 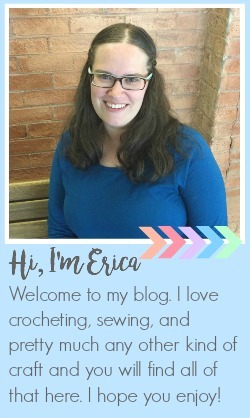 If you are doing the layered option like I did you will need to make sure you do the black background layer first.